David Colombini, Marc Dubois, and Laura Perrenoud are the co-founders of INT studio. 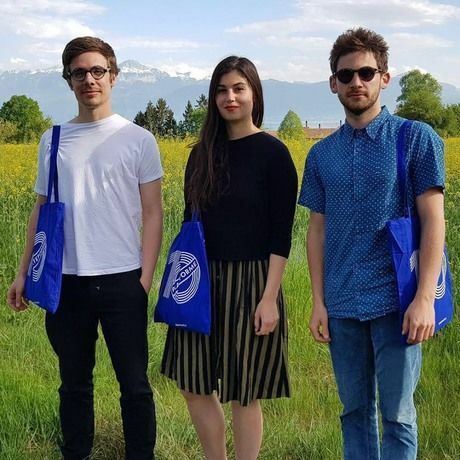 The three graduated together from the Media & Interaction Design program at ECAL (Ecole Cantonal d'Art de Lausanne) in 2014. They are also the three artists behind the art practice Fragmentin (https://www.fragment.in), whose artworks question the impact of digital technology in our daily life. INT (www.int.studio) is a Swiss design studio that works at the intersection of art direction, interactive scenography, and creative programming. Combining innovative technology with inventive curiosity. While INT’s main partnerships are in the cultural field, the studio also works with universities, non-profit organizations, architecture studios, luxury brands, and conferences. Marc has previously followed the CMS program at EPFL and is currently a visiting lecturer at ECAL, while David owns a Master from the Royal College of Art (London) and previous work experiences at studios like Herzog & de Meuron (Basel), United Visual artists (London), and Philippe Rham Architects (Paris). Laura is currently a teacher assistant at ECAL and just completed a residency at swissnex San Francisco. At CreativeMornings Lausanne, INT studio will briefly introduce - with visual references - the history of surrealism before presenting some of INT’s works linked to this topic. They will make a parallel between the “surreal” and the “hyperreal”: a postmodern term designing an inability of consciousness to distinguish reality from a simulation of reality, especially in technologically advanced societies. Tools like AR, VR, and mixed reality are blurring the limit between the digital realm and the physical, sensorial one, thus affecting our perception of reality. The critical thoughts on the use of these novel technologies in the right context is important in the practice of INT studio.